Image from Wiki of Ice and Fire. 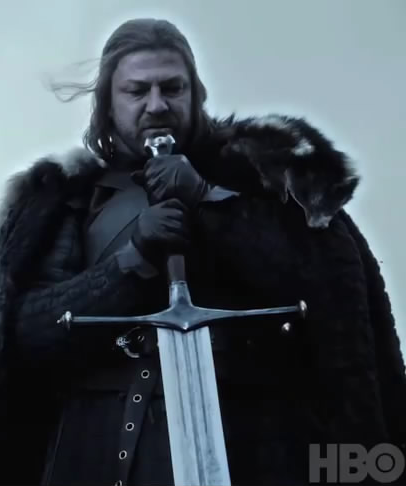 Game of Thrones is back, and with it Valyrian steel swords. Magic or otherwise better-than-normal swords are common to fantasy literature, and it got m thinking about the real-life basis for it. There is one, and it doesn’t even require magic: Damascus steel, the scourge of medieval and early modern warfare. The recent revelation (via a class-action suit) that some cheaper wines have high levels of arsenic got m to thinking: how toxic is it, really? And is it as dangerous as we think? I’m not one to say that stuff like that in wine is a good thing. I’m a wee bit of an oenophile myself, though I strongly advocate staying under $20 for a good bottle for most occasions. So the question is, if wine has arsenic in it, how much are we getting when we drink it, and how that compares with water from the tap. First let’s look at how much was in the wine. According to this story, the highest arsenic levels were 50 parts per billion in one bottle (out of 1,300) that was tested. On average the levels were 30 parts per billion. The standard for drinking water is 10 parts per billion. One part per billion is equal to one gram of arsenic in 1 million liters of water, which is enough to fill a “short course” 25-meter swimming pool. Not much, but arsenic is damned toxic stuff. Recently Discover, Mother Jones, the Washington Post, and many corners of the blogosphere have gone over Bill Nye’s change of heart about genetically modified crops. Originally, Nye’s skepticism carried a lot of weight – he is “the science guy” after all. Here’s the thing though. The whole discussion about GMOs is often about GMOs as technology as though it were completely divorced from the system in which it is produced. I am not going to dispute that they are safe to eat. They are, full stop (or at least they aren’t any more dangerous than a lot of other stuff). Nor am I going to push too hard on the environmental front just now, though I am skeptical that anyone has worked out the unintended consequences. Mother Jones asked (rhetorically) is what Monsanto showed Nye that made him change his mind. I’d say that the science of what Monsanto showed him was sound and they satisfied him that the technology was fine. I think the issue, though, is not one of technology or even science. It is something that Nye brought up at the very start. This is the third in a series of three posts I did on the Fermi Paradox, starting with some numbers from over at the Planetary Habitability Laboratory. In the first two I wrote about why alien civilizations would be hard to see, either via radio waves or Dyson projects. In this one I will get into the numbers behind planetary colonization and what that says about the odds that there’s anyone out there. I’ll do two things. First is a look at the mathematics of interstellar colonization – how long could we reasonably expect it to take for a civilization to fill the galaxy? The second is to use a little data on the distribution of stars in the galactic habitable zone to see how likely it is that there’s anyone around currently. In a previous post I addressed the issue of why we might have lots of extraterrestrial civilizations nearby and never see them. It was a stab at addressing the Fermi Paradox, which is basically asking, if there are aliens out there, why don’t we see any evidence of them? In that one I was speaking about civilizations at roughly our level of technology. By that I mean that they use radio, that they haven’t got anything we’d necessarily describe as “magic” and they haven’t got some way around the speed of light limit. But let’s think about civilizations that are way ahead of us. Imagine a species with a million- or billion-year head start at having a technical civilization. We literally can’t imagine the kinds of thing they could do, anymore than a member of Homo erectus could figure out how an iPad works. We wouldn’t even have the language for their technologies. Photo from WIkimedia Commons, by Colby Gutierrez-Kraybill. Apropos of a bit in Wait But Why? About why there are (apparently) no other intelligent beings that we can see in the universe, there were a couple of things I wanted to check out. One was the average distance between civilizations. That is, about how far away the nearest group of aliens ought to be. The other was thinking through whether we’d even notice they were there.